2019 is upon us. If your New Year’s resolution is to become a blockchain developer next year then you’re in luck. Check out the roadmap below to get started on your road to blockchain success! 4. What are miners/validators? What is their purpose? 5. What are smart contracts and how are they different from other programs/apps? 1. By some Ether, Bitcoin or other currency from an exchange. 2. Use the platform by sending and receiving currency. 3. Learn to use wallets and plugins like Metamask, Mist or Trust. 4. Interacts with dApps using those applications. 5. Use testnets and test currency if you can't afford to buy any. 4. Learn to code smart contracts (Solidity, Vyper, C++, Go). 5. Learn how to code for different platforms (e.g. Ethereum, Rootstock, EOS, Loom). 1. Join and post to online forums (Reddit, StackExchange, DelegateCall). 2. Join Telegram or Slack channels for different blockchain related platforms. 3. Subscribe to blockchain related YouTube channels. That should get you started. 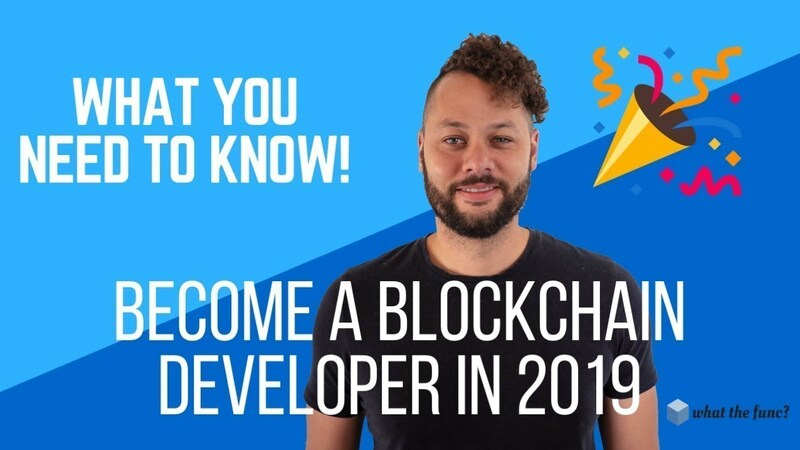 With a little bit of hard work and dedication you could be on your way to a new and exciting career in blockchain development in 2019. Good luck and Happy New Year!! !